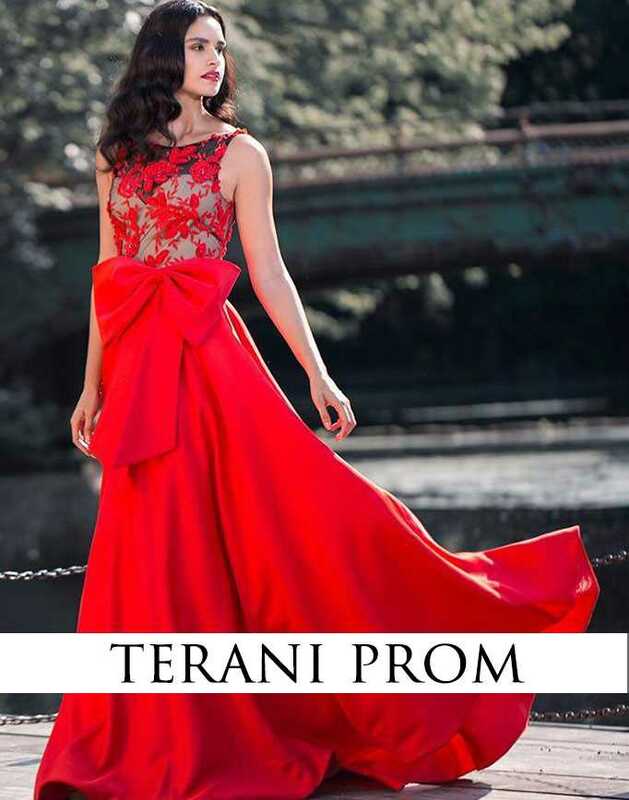 Glamour is an artful selection of numerous dreamy styles, gathered professionally by Terani Couture's designers only to make your desires accomplished. 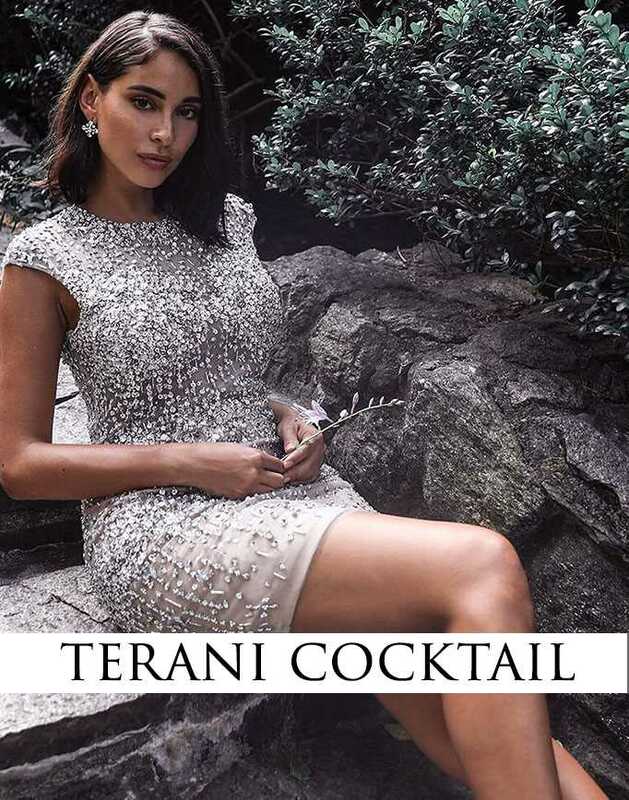 Terani Couture Glamour line is a collection of sophisticated designs, containing variety of choices, but the important factor is they come in reasonable prices and that is a winning ticket for you! 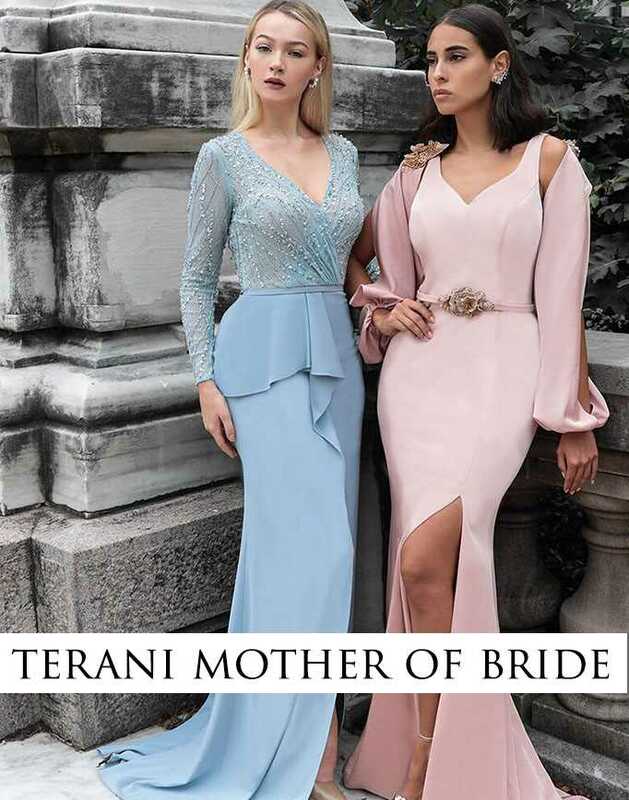 The Glamour line of Terani does not follow any strict models; these fabulous gowns are made for any beautiful women around the world, based on different choices to show off the pure meaning of beauty through fashion. By a quick glance, you will find your special-made dress. These Glamour designs includes countless options for fabrics, from revealing sheer, lace, organza to the chiffon, satin, and everything you may have in mind. The adornments are exactly on next levels of skills, delicacy, and style. These Glamour designs start from smooth caressing solid colors to fully sequined, or neatly beaded, embroidered and crystal decorated silhouettes. The fascinating tailoring besides the designing adds a lot to the glittering, radiant, and classy looks of the dresses. 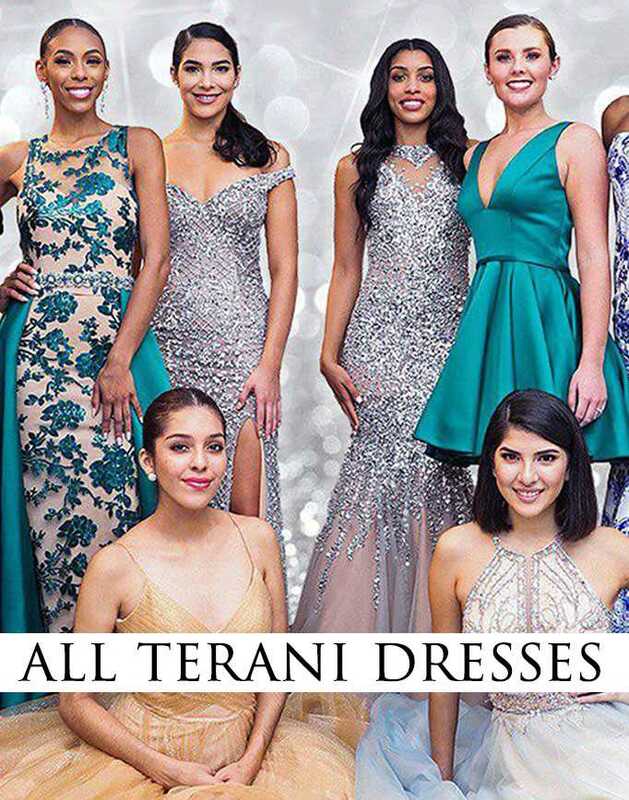 The Glamour collection designs long hugging figures, to the short knee length dresses, having fish tale hems, mermaid end, ruffling asymmetrical features, feathered patterns, and flared skirts exclusively made to celebrate beauty in every angles. 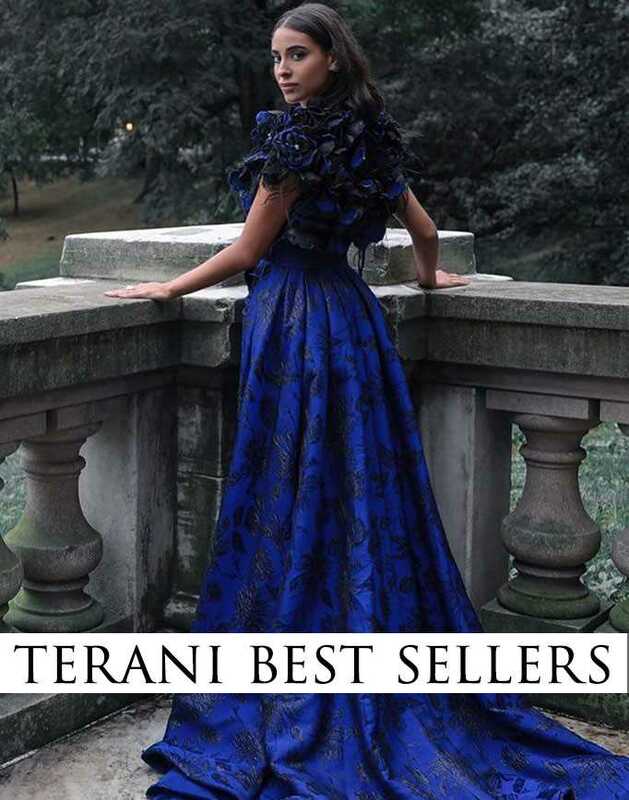 Some of the Glamour's dresses are the best sellers over the years and other ones are as magnetic as the other designs of Terani Couture. 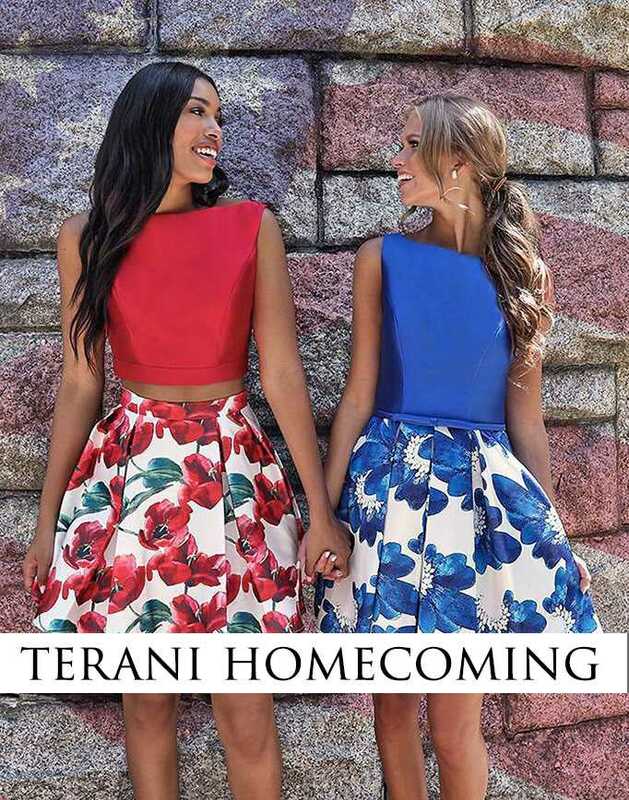 They can be wore in pageants, balls, formal events, homecomings, proms, evenings, and even those small friendly party of yours. 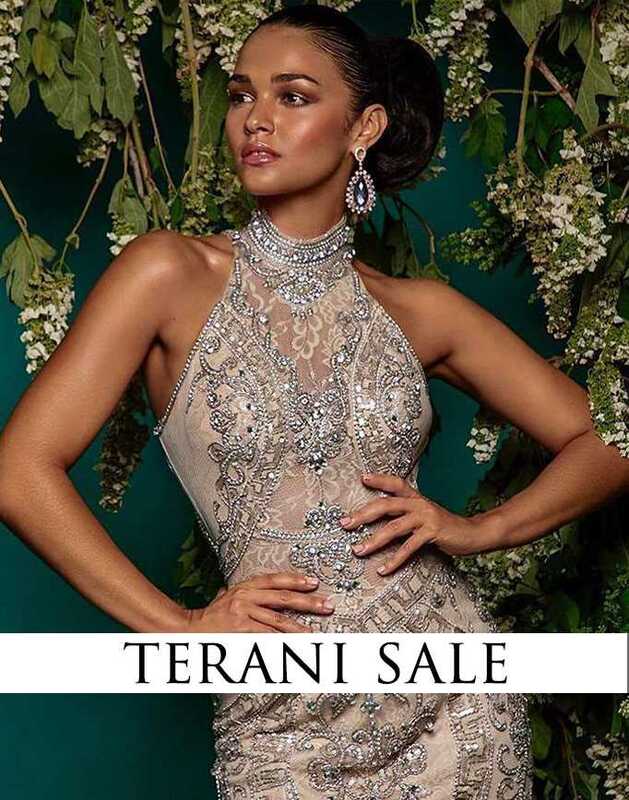 The Glamour line of Terani Couture is our guaranteed offer to you, if you want to shine at the spotlight, hearing compliments, and feel proud in an elegant style. MackTak.com as the official retailer of this popular brand organized the Glamour line ready to order online for its beautiful costumers. Hope you enjoy your time!